A contractual periodic tenancy agreement is one in which the tenant continues to live in a rental property even after a fixed tenancy period is over. A contractual periodic tenancy is where an agreement is reached between the landlord and the tenant that is the basis of the contract. This is distinct from a statutory periodic tenancy were the tenancy is continued by governing laws and statues rather than a formal agreement. In contractual periodic tenancies, the landlord and the tenant have agreed on a fixed time period after which the tenancy agreement will be renewed without having to sign a new agreement. There are a number of advantages to be gained for both the tenant as well as the landlord if they agree to a contractual periodic tenancy. One of the main advantages that you and your tenant gain by a contractual periodic tenancy is the less amount of paper work that you both have to go through. It is no secret that tenancy agreements can entail a great deal of legal formalities which can take up a lot of time. By agreeing to a contractual periodic tenancy, you will not have to come up with a new tenancy agreement at the end of each term. The tenancy agreement you have already in place would apply for the coming term too. A contractual periodic tenancy gives more control to the landlord. Your tenant will have an idea of what is expected of him and when and how things are going to proceed after a tenancy term comes to an end. As the landlord, you will be in charge of the contractual periodic tenancy and can decide before hand if the length of the periodic tenancy would be a month or more than that. 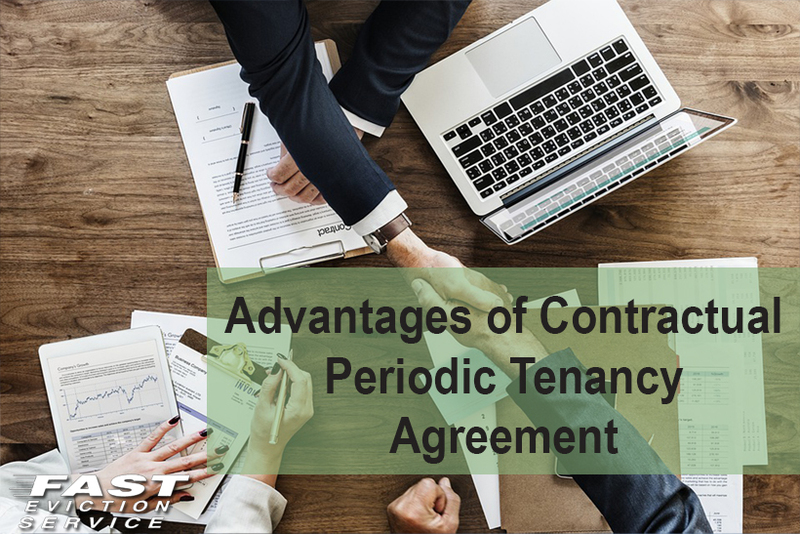 Usually the length of a periodic tenancy is a month but it can be stretched to six months as well. Most tenants want a long-term relationship with their landlords and likewise a landlord would prefer retaining a good tenant. A contractual periodic tenancy can help you in retaining your tenants for a long period of time. The tenancy agreement will keep on renewing itself after the completion of each tenancy term which would make the tenant happy and he will never think about leaving your rental property. One of the biggest advantages of a contractual periodic tenancy for a landlord is that it allows him peace of mind. Having such a tenancy would mean that you won’t have to worry about finding a new tenant or coming up with a new tenancy agreement after every few weeks or months. The tenancy agreement you and your tenant sign will keep rolling over, keeping both of you happy and contented.